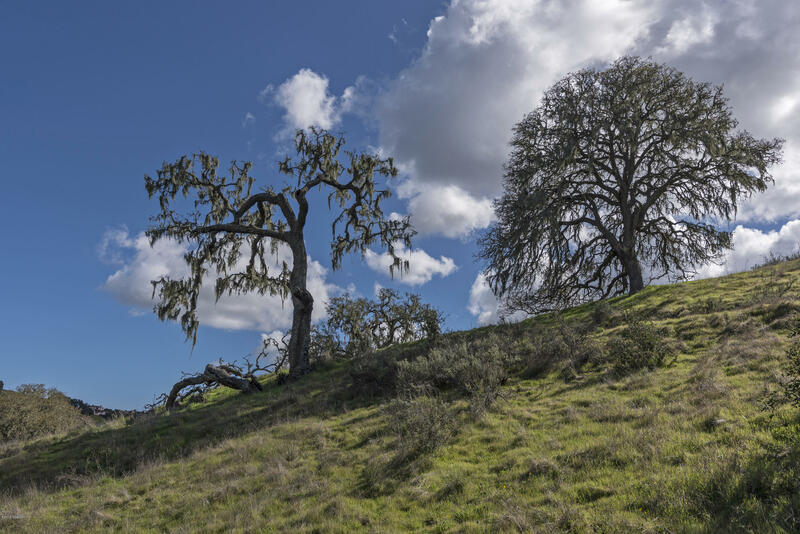 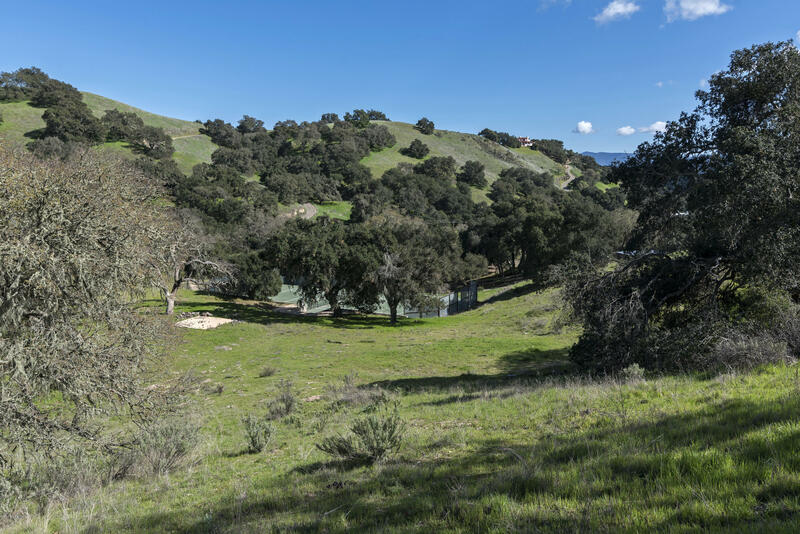 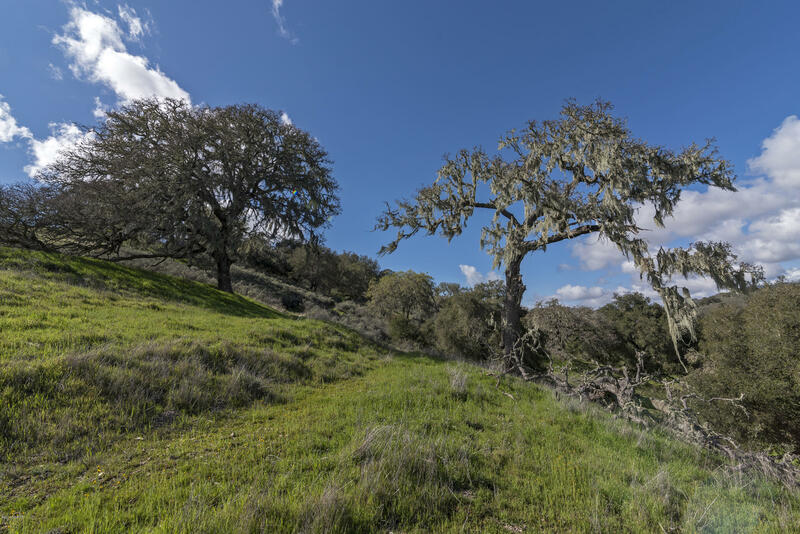 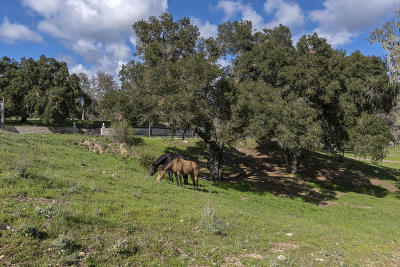 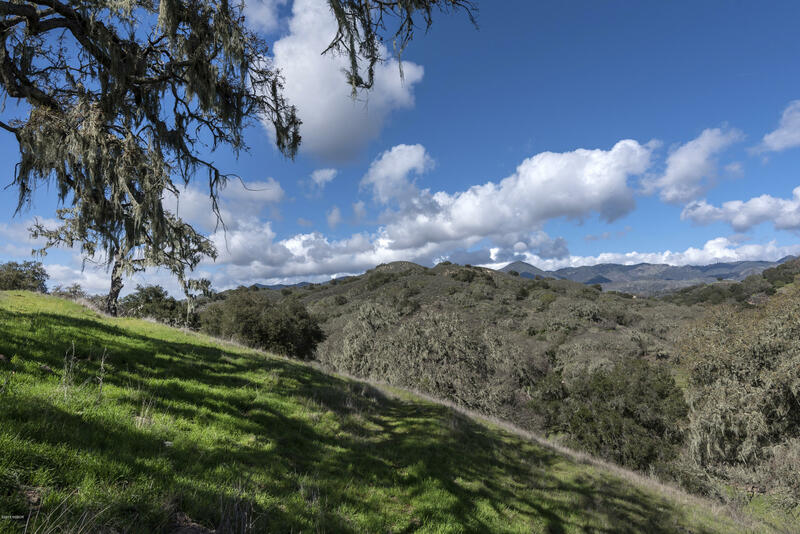 Exceptionally usable approximately 20 acres in Woodstock Ranch. 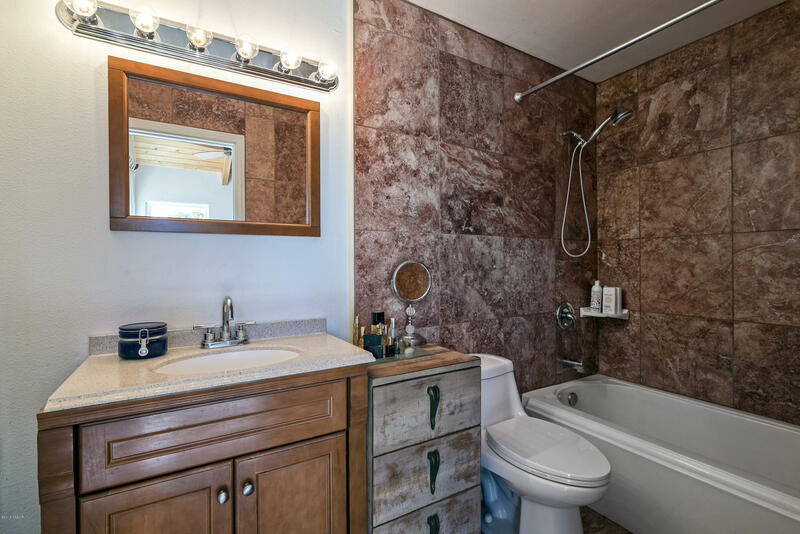 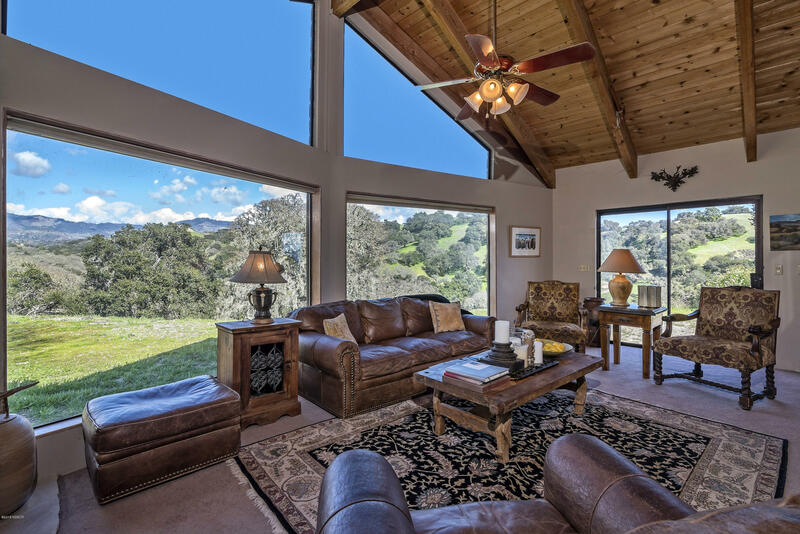 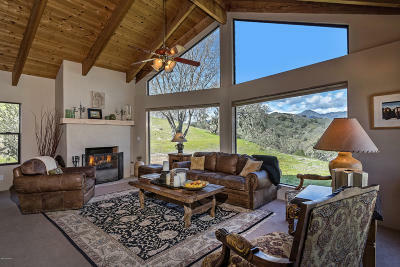 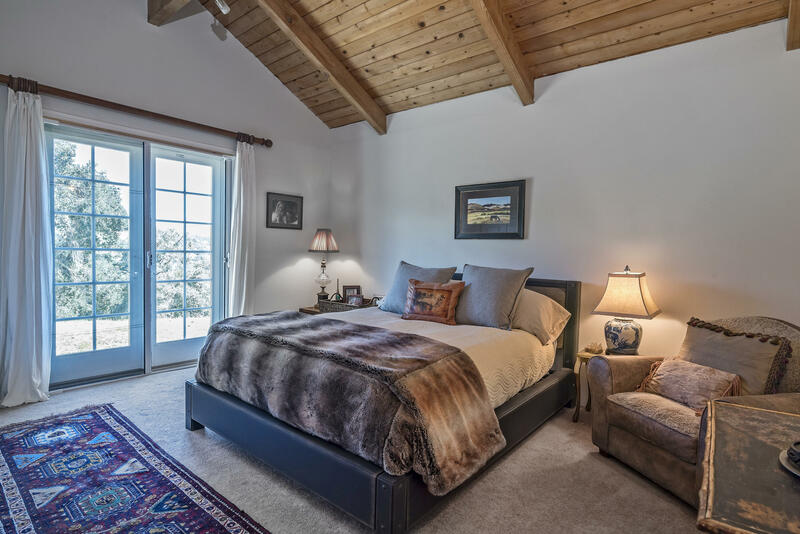 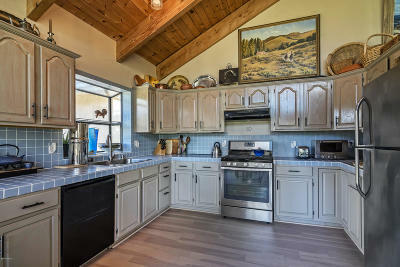 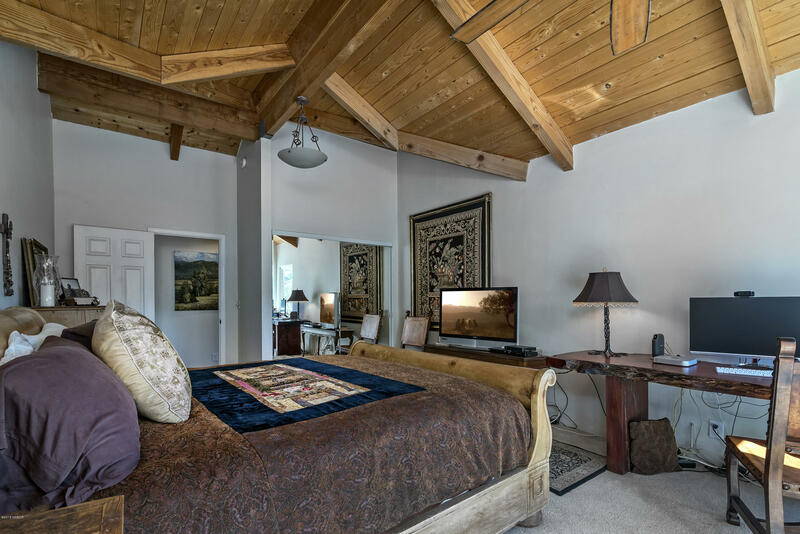 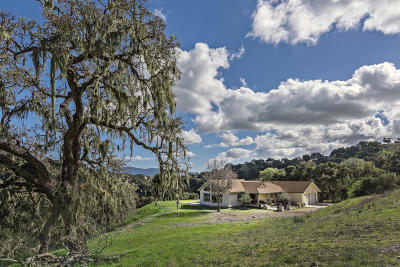 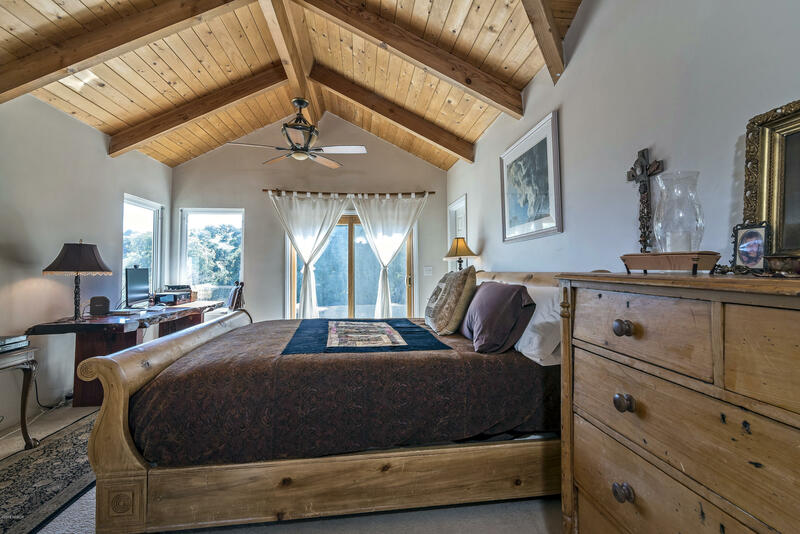 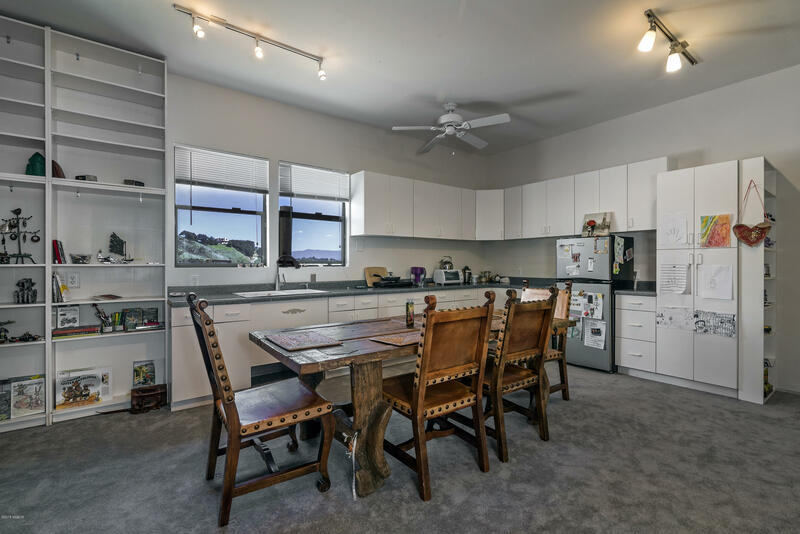 Nestled into the property is a charming bungalow with floor to ceiling windows taking full advantage of views of the San Rafael mountains and ancient oaks. 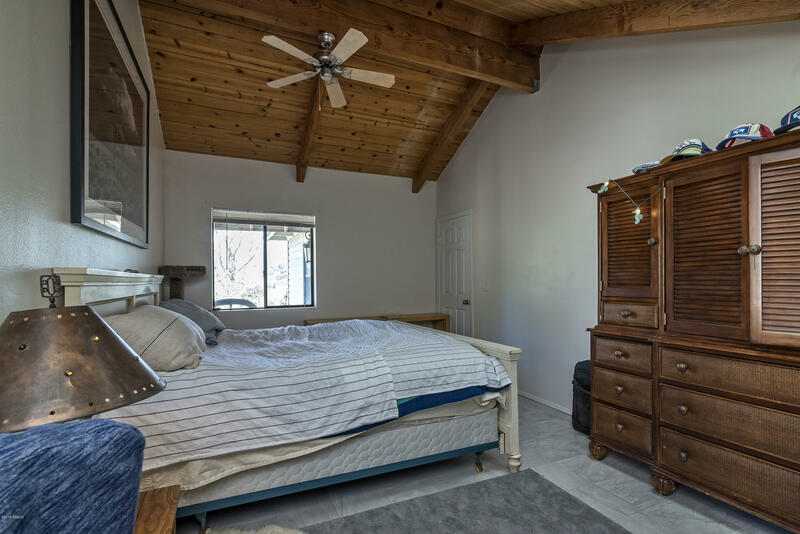 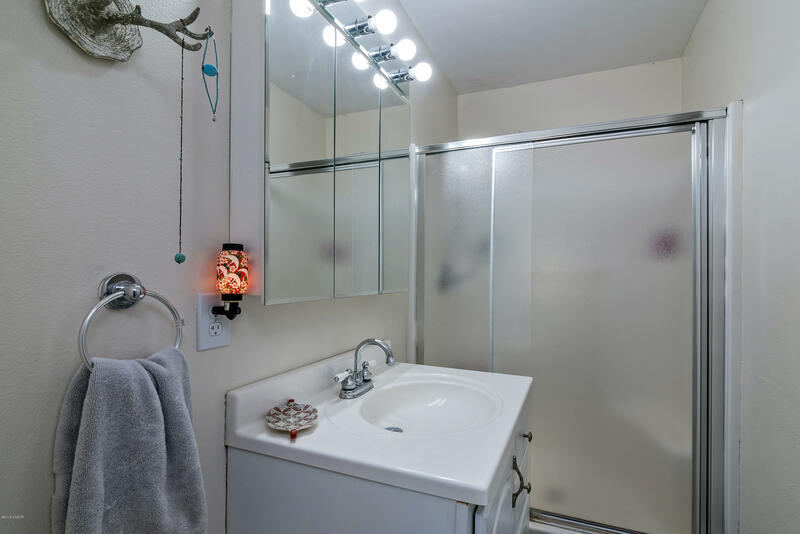 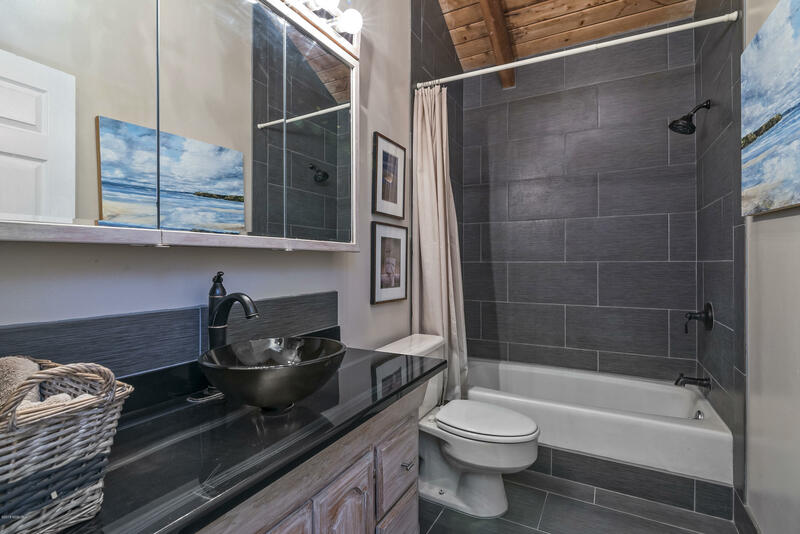 This comfortable home features 3 bedrooms and 3 baths including a guest suite with separate access. The residential terrace has abundant space to increase living areas or to add a pool and patio with gardens. 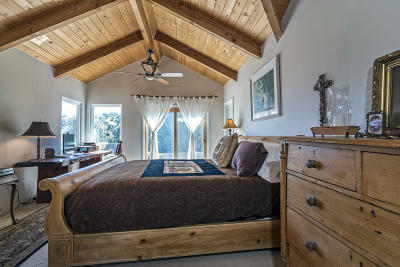 In addition, there is a beautiful building site for a new residence with heart stopping views. 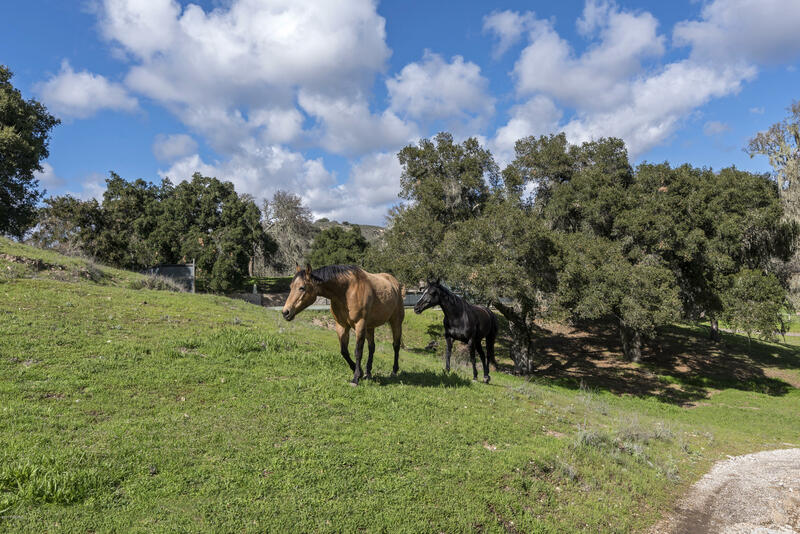 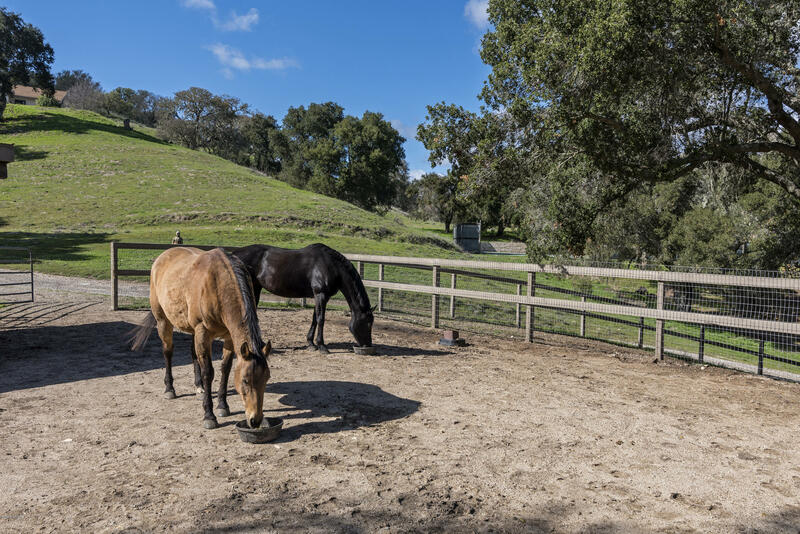 This gentle parcel is fenced for horses with multiple shelters and large paddocks. 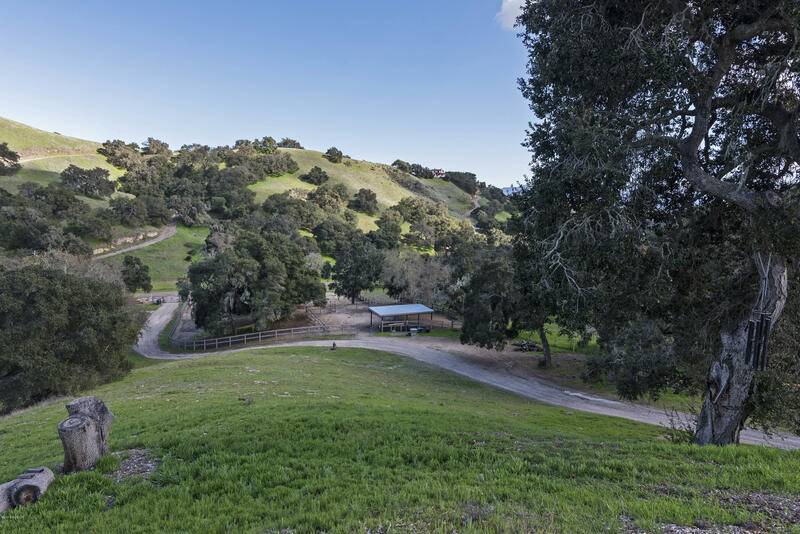 There is ample land for an arena and barn as well. 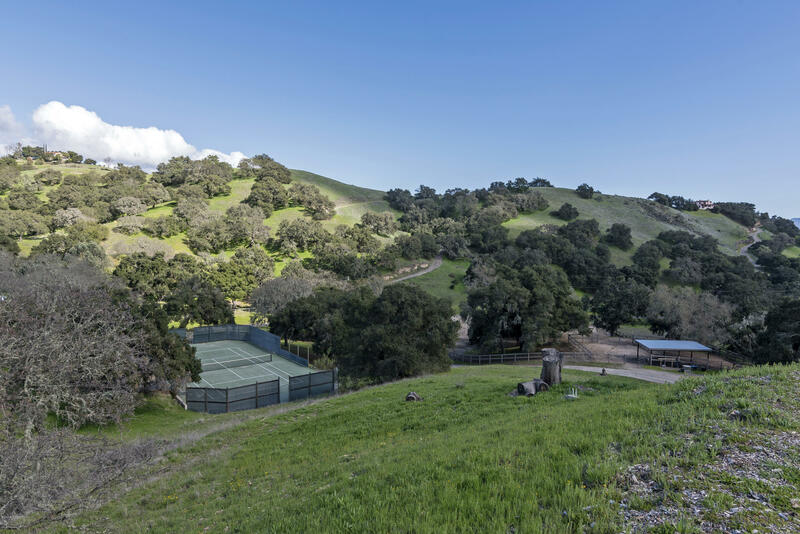 The property has its own tennis court, fenced orchard and green house. 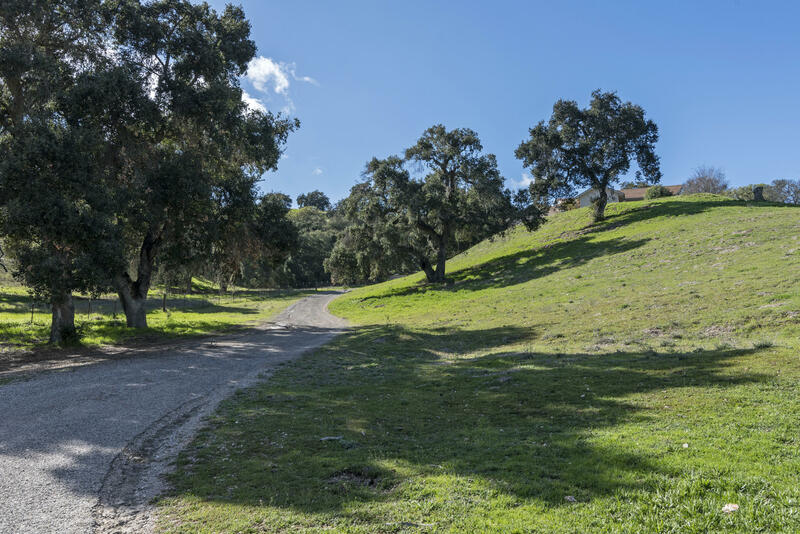 Directions to Property: Calzada to Woodstock Road to Tims Road.